The Pinnacle on Adelaide is exclusive living condominium situated on unrivaled location. 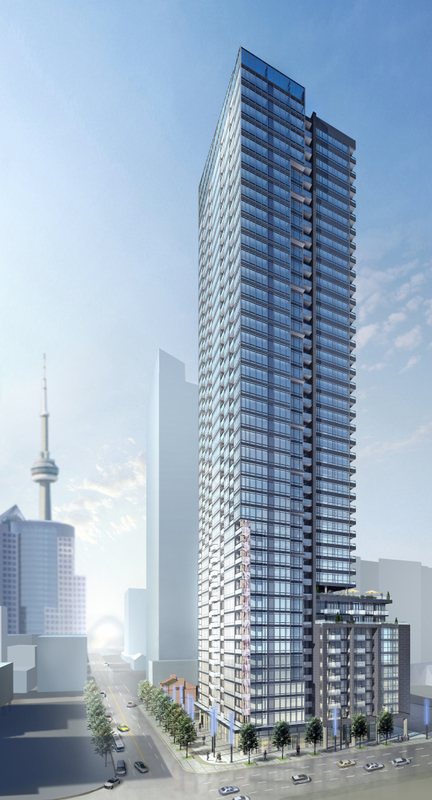 The Pinnacle on Adelaide is under the process of construction and will be completed to sell in 2013. The Pinnacle on Adelaide is luxurious residence which is consisted of 43 and 547 units. The Pinnacle on Adelaide is new and different from other condominium societies because of its high-design aesthetic that permeates the spaces for both public and private. The Pinnacle on Adelaide presents to its residents local area amenities such as Grocery, TTC, Bank, Cafe, Bar, Restaurant, Parking, Entertainment, Gas Station, Pharmacies & Beauty and much more.